So take a look around you. How engaged would you say the people are in your organization? Each workplace is unique but here's a dose of reality: Some research shows only 29% of North American employees are fully engaged. That's a lot of productivity being left on the table. Particularly during challenging economic times, it's essential for our teams to be fully engaged and committed to project and organizational success. But how are they going to go the extra mile if they aren't engaged? One of my heroes in business over the years is Kenneth W. Thomas. If you've sat through any of my leadership or conflict management sessions, you've likely heard me refer to Ken. His research and writing on managing conflict has significantly impacted me. 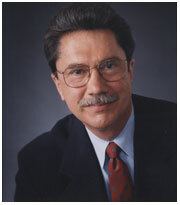 Ken is a co-author of the Thomas-Kilmann Conflict Mode Instrument (TKI). Ken is also the author of the new book Intrinsic Motivation at Work: What Really Drives Employee Engagement, published by Berrett-Koehler and ASTD. This book is an easy read: informal yet packed with great insights to help you engage your teams. Whether it's Ken's work on conflict or engaging the workforce, Ken is a clear and strong voice that offers not only words of wisdom but also practical tools to help us lead through conflict with engaged teams. I had the opportunity to catch up with Ken recently to get his insights on all this, including the new Work Engagement Profile. This easy-to-use profile provides excellent insights to understand how engaged you and your team are to help put together a plan to re-engage. Most organizations could benefit from practical learning about how to manage conflict. Contact me today to learn about the TKI assessment. We can help you and your organization better understand how to productively navigate conflict. Learn more at https://www.i-leadonline.com/tki.asp. For hospitals who need to comply with the Joint Commission standard LD.2.40, I invite you to visit http://www.healthcare-conflict-management.com/tki-assessments.html to learn more how we can help you. Another way to take a next step from this podcast: contact me about Ken's new Work Engagement Profile. I can walk you and your team through the profile, and facilitate a plan to re-engage your workforce during these challenging times. Finally, don't forget the special offer in the podcast. It can be tempting to think "Andy's other listeners have already picked up those free books or assessments. I won't get in touch with him." Send me an e-mail at andy [AT] i-leadonline [DOT] com or call toll-free at 866-88 I-LEAD. You just might pick up a freebie! Thanks for listening to The People and Projects Podcast! Enjoy the interview!